Hiring the right conversion optimization firm will have a significant impact on your bottom line. A sharp CRO team with an accurate methodology can generate significant increases in your conversion rates. Hiring the wrong team, on the other hand, will be throwing money down the drain. Even worse, it will be wasting meaningful time you could be using to generate more revenue. There is not a way around doing your due diligence when it comes to hiring a conversion rate optimization firm. You will have to look at the company track record, talk to the team that will be working on the project, and set clear expectations. This article will cover the types of company, the general cost of services, as well as the additional and specific questions you should ask any CRO firm you are thinking about hiring. Individual consultants: For the last three years, the number of freelance consultants who offer conversions increased considerably. Search engine marketing companies: Several search engine marketing companies have added CRO to the list of services they provide to their clients. Testing companies: Some multivariate and A/B testing software companies offer professional services to help their customers create test plans. Specialized conversions optimization firms: These are companies that focus strictly on conversion optimization and do not handle any other types of marketing such as SEO, PPC, etc. Individual consultants come with a lower cost. However, they cannot bring the same breadth and depth of knowledge of a firm. Most search engine marketing companies offer CRO as an afterthought and not as a specialized practice in which they invest heavily. All the same, if you are already working with a SEM company for PPC and SEO, adding CRO could possibly work to ensure synergy between the different teams. Testing companies are great in creating software, and their professional services team will do their best to ensure your success. 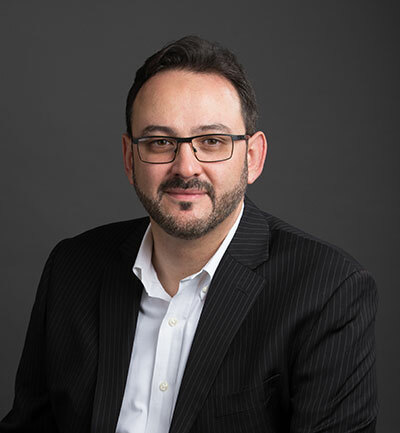 The challenge is that, by definition, most of these companies are focused on the testing aspect of a CRO program and do not delve deep into the other portions of a conversion project. The cost of hiring a conversion optimization firm varies widely. Keep in mind that a good consultant should be able to increase your annual online revenue from 30% to 75%. CRO consultants will charge anywhere from $75/hour up to $350/hour. A specialized conversion optimization company will most likely charge a monthly retainer of $5,000 up to $20,000 per month. Many of them will also require a multi-month commitment. Do not expect to pay lower rates for an expert conversion optimization consultant. 1. How do you determine what pages you will optimize? Choosing which page to optimize first and creating a conversion roadmap will impact your project. Remember that optimizing any page requires analysis, development of test plan, implementation of that test plan, and finally waiting for testing results. This could translate into 2 to 4 weeks’ worth of work per page. If the CRO firm chooses the wrong page, that time and money are wasted. There should be no shortcuts here. Without following a process, or by giving a generic answer, such as using best practices, the firm is just randomly guessing. If they are randomly guessing from the start, avoid them. 2. How do you determine what changes you will make on a page? The next question is determining how the conversion company will determine what changes they should make on the page. Again, you are digging deep to understand the process the conversion firm uses. Best practices are great in theory but difficult in practice. Relying on good practices will not take you anywhere. We have seen this first hand with over 3,000 A/B tests. What works for one website may or may not work for your website. Different conversion optimization designs and processes work differently for websites in the same industry. You can find several renowned methodologies in the CRO space. 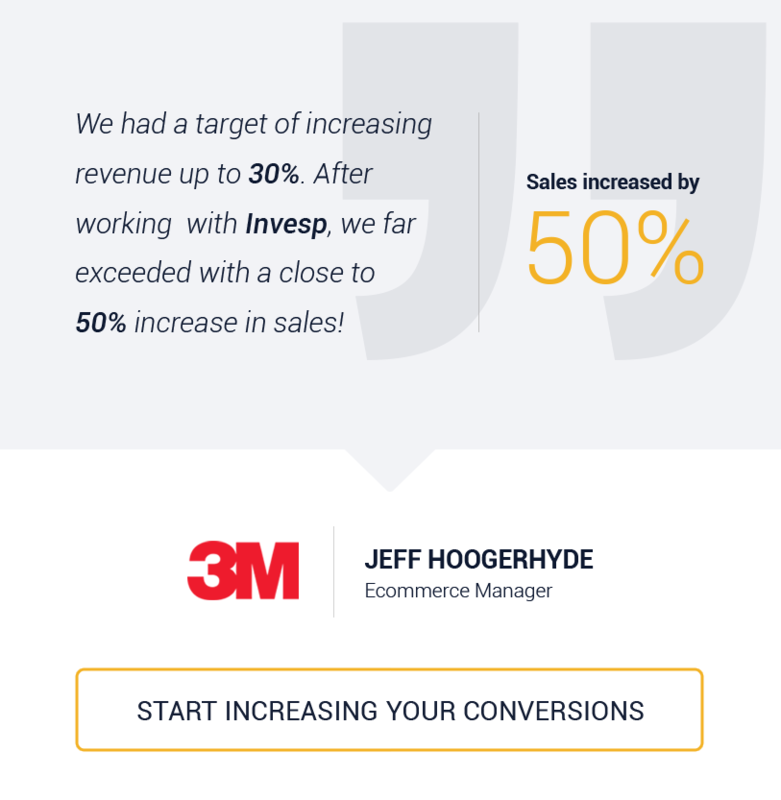 Invesp’s Conversion Framework, Widefunnel’s LIFT model, and MarketingExperiments MEC formula are some of the well-known conversion models in the industry. It is good when a company says they follow a specific process, but you should always ask to see a small demo of how that process would be applied on your website. The CRO company should be able to choose a page of your site and use its conversion process to demonstrate weak areas on that page. 3. What type of qualitative research will you conduct on the project? Qualitative research explains the “why” question on your website and informs your assumptions about your visitors. 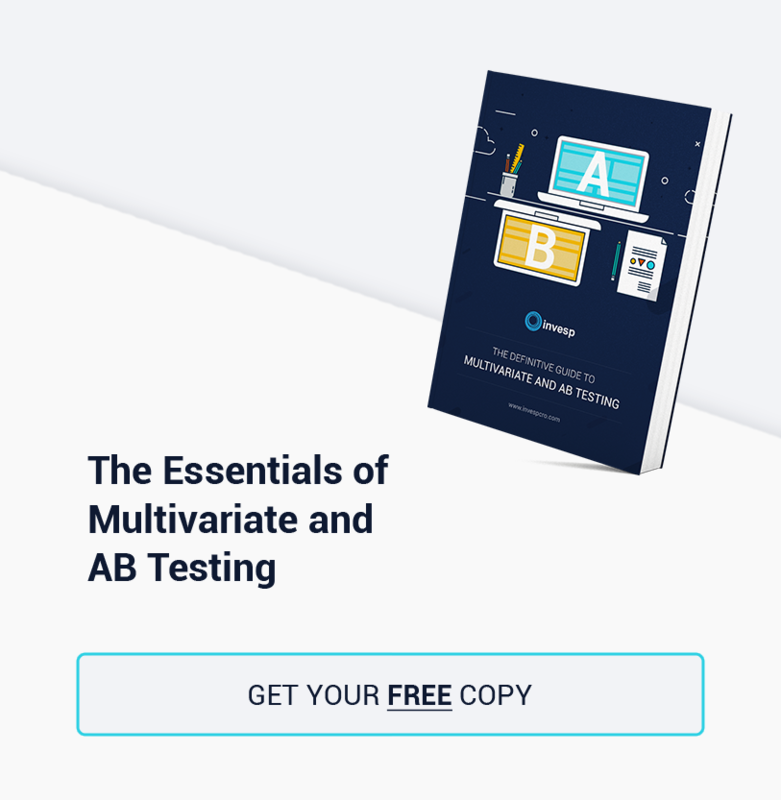 Multivariate and A/B tests validate these assumptions. Good conversion optimization requires the firm to conduct some level of qualitative research to understand your customers. You should avoid companies that ignore doing qualitative research, regardless of the excuse they might give. Optimizing a website for conversion without conducting qualitative research is flying blind. 4. What type of quantitative research will you conduct on the project? Quantitative research answers the “what” question on your website. What are visitors doing on your website? What pages are performing well and what pages are underperforming? What areas of your website are leaking visitors? Analytics software provides a wealth of information for quantitative research. 5. What is the most challenging part of doing a conversion optimization project? Increasing a website conversion rate is a complex problem. Otherwise, most websites will convert at 20 or 30%. Solving the conversion problems for a website requires a careful analysis that generates focused solutions with a higher probability of success. You should ask this particular question to the team members who will work on your project. Listen carefully to their answer. Do they find the analytics assessment difficult, or is it the qualitative research? Perhaps, it is identifying problems on a page or creating a successful A/B test. 6. What was the worst conversion optimization project you worked on? Most companies think of conversion optimization as a one-time effort, a campaign they conduct once, and they are done with it. Needless to say, that mentality is counterproductive. As a result, a company that has been doing conversion optimization long enough must have run into a bad project every now and then. If the company claims they never did, they are lying, or they have not been doing CRO long enough. This is not unique to conversion optimization. It is the nature of doing business. Large and well-established consulting firms in all different industries have bad projects. The reasons the firm gives for the bad project. Are they blaming the client? Even with lousy clients, and these do exist, a consulting firm should have a process to manage expectations and implementation. How the firm handles bad projects. 7. How many tests do you launch per month? 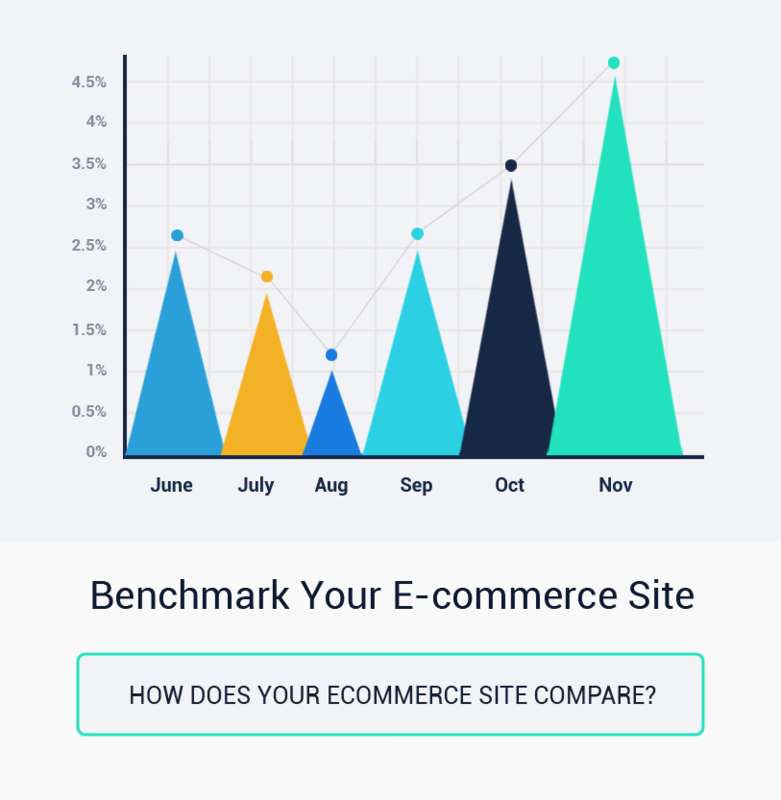 It goes without saying, the more tests you can launch on a website, the higher the chances you have in increasing your website conversion rate. This, however, should NEVER come at the expenses of following all the required and necessary steps to create a fruitful A/B test. There is a fine balance between launching scant tests and an exaggerated number of tests. You must understand how often the CRO company plans on launching tests on your website. You will also have to allocate your resources to conduct a test. If the company is running just a few tests, your development team would not be involved. These few tests are typically small and have limited impact on your bottom line. Conducting one test every four to six weeks is too slow. Following this approach, you will conduct anywhere from 8 to 12 tests per year. In our experience, that will generate a lower ROI. Conducting more than three tests per month means that tests are not carefully analyzed nor are results studied to determine marketing insights. This approach of throwing things at the wall rarely works. Conducting two tests per month is the ideal target where careful analysis is put into test creation and results. In this approach, you will launch 20-24 tests per year. An expert CRO team should be able to easily generate 35 to 65% uplift in conversions in this scenario. 8. Do you conduct concurrent split tests? If tests are run concurrently, each test runs in a separate swim lane. If tests run in separate swim lanes, traffic from one test does intersect traffic from the other test. This rarely happens on large complex websites where visitors jump from one side to the next. 9. How do you handle mobile website optimization? Mobile website optimization requires a different set of processes compared to desktop optimization. Visitors on mobile devices typically come in one of two buying stages: research phase or the action phase. Presenting mobile visitors with the right information will have a significant impact on your bottom line. When evaluating different conversion rate optimization companies, ask them for examples of their mobile device optimization. Also, understand their mobile optimization process. Stating that mobile device optimization is similar to desktop optimization is a red flag! 10. Who will handle implementing the test on our website? When creating a split test, you will have to create the new designs which will run against your control. Let’s take the simple case of an A/B test that will run one challenger (one variation) against the original web page design. Who will handle implementing that new page? This will depend on the complexity of the new page. Simple single changes, as a new headline, can be done by the testing company on their own using the A/B testing software. More complex changes, as new elements, redesigned layout, or a different visitor flow, are not implementable using the testing software. Someone has to change some code in your system. This means your development team will have to make these changes. Understanding who will handle implementing the A/B tests ensures you will allocate the required resources to guarantee the success of the project. It will also provide you with insights about the type of tests the firm plans on introducing during the project. If the firm will handle all implementation of tests and does not require involvement from your development team because the tests will not include backend changes, this means most of the tests they plan on launching are small. Small tests may generate increases in conversions now and then. However, medium and large tests are the ones that generate more impact on your conversion rates. If the firm will handle all the implementation of the tests including backend changes, you must ensure that they have a solid development team and that you can grant them access to make changes on your servers. 11. What type of resource commitment do you require from my team? As we mentioned in the previous question, most conversion optimization services will require some level of commitment from both your design and development teams. How will challenger designs be delivered to your team? Are you receiving HTML or PSD files? What is the average time it will take your development team to implement new tests on both my QA and production environment? 12. What additional fees should I expect to pay in addition to the consulting fees? Expectations must be set correctly. That will ensure the success of any conversion optimization project. The conversion consulting company will require you to install and use software on your website to collect visitor data and to launch the tests. Some of the tracking and A/B testing software can get expensive. This will largely depend on your website and the number of visitors it gets. If your website gets more than 100,000 visitors per month, the cost for the testing software can run you up to $500 per month. Even more, some software will require an annual contract commitment. A recent company seeking conversion rate optimization services had 200,000 monthly visitors to their website. They were not allocating any money for the testing software. They had been negotiating with several optimization firms. No one bothered to explain to them that the cost of the testing software would run them close to $20,000 per year. 13. What type of education do you require from your conversion optimization staff? Conversion optimization is an ever-changing field. If online marketing is on the cutting edge of marketing, conversion rate optimization is on the cutting edge of online marketing. Good conversion optimization companies should require and invest in educating their staff. At a minimum, a conversion rate optimization consultant should be staying up-to-date with the latest in the conversion optimization field and analytics. In addition, and since conversion optimization impacts different aspects of a website, an expert conversion optimization consultant should have a well-rounded knowledge of SEO, PPC, and social media. The education a firm requires from its staff is a great insight into how much they want to see their clients succeed. 14. Can you guarantee an increase in conversion rate? This an easy one. If anyone guarantees results for conversion optimization services, run away from them as fast as you can. Many factors impact the result of conversion work. Among these factors, several are not controlled by the conversion rate optimization firm. Take for example the quality of the traffic that is coming to your website. If the site gets a good number of visitors organically from search engines, a change in the quality of that traffic (such as an increase or a decrease in rankings) will have a direct impact on your conversion rate. The conversion company also does not control some market factors. A major ad campaign of one of your direct competitors will impact your conversion rate. Companies that guarantee an uplift but by they define the uplift as any type of success on any test they launch. This includes conducting a test that generates a 0.00001% increase in conversions! Both practices are somewhat deceptive. 15. How do you determine the success of the project? Website owners conduct conversion rate optimization because they want to see an increase in conversion rates. But as we clarified in the previous question, no reputable CRO company can guarantee the results of their work. If you set expectations correctly from the start of the project, you will save yourself a lot of headaches and heartburn. The percentage of successful tests: in our experience, up to 70% of the tests we conduct generate an uplift in conversion. The detailed and well-thought process we demonstrate first-hand to the client in every interaction with our team. The learning process the client team receives from watching and interacting with our team on the project. 16. Why should we hire over another CRO company? Why is one firm different than another one? Differences could include process, experience, deliverables, and cost. Did you hire a CRO firm in the past? Do you think the questions we mentioned above would have helped your hiring decision/process? What other questions do your recommend we add to the list?